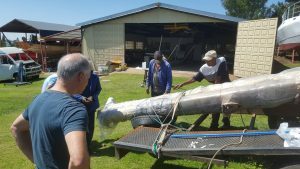 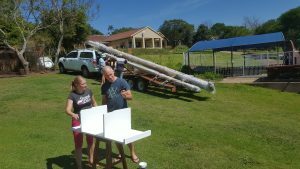 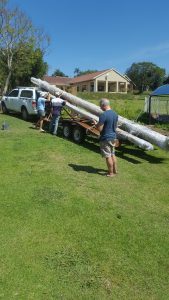 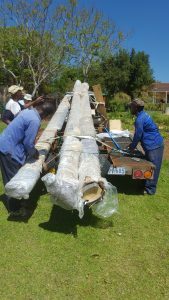 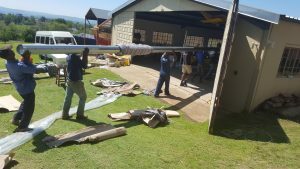 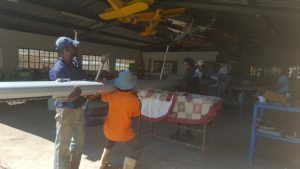 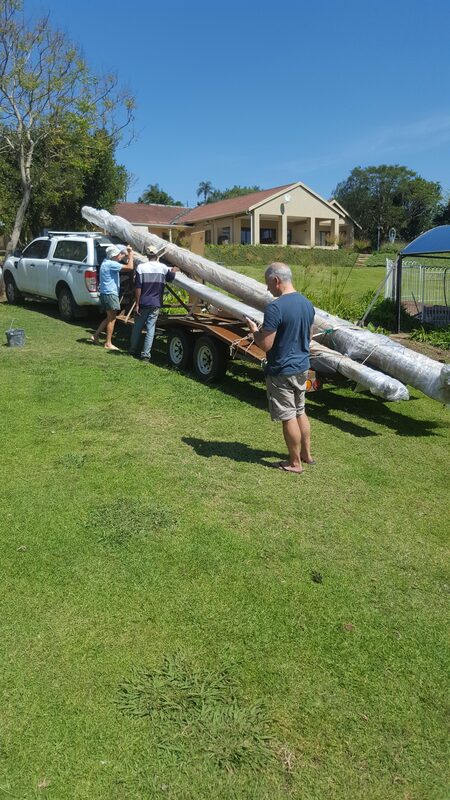 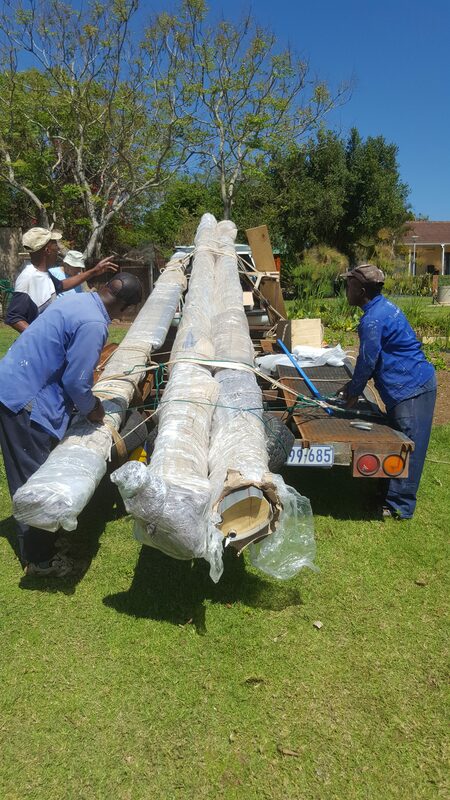 Sunday evening Len arrived back at his workshop with our mast on the back of his truck, which he had been gone for several days going down to pick it up from the mast builders in Cape Town. Today Len got seven guys to move the pieces of the mast of his truck and into his workshop where tomorrow morning a specialist in putting together masts is going to assemble it for us. 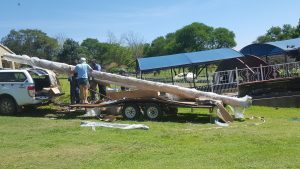 The mast is alot larger then I expected, but for a big boat I guess it’s gotta have a big mast and big sails. 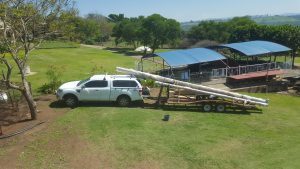 Originally we thought we’d have to have it assembled out by the harbor after the boat was in the water because the fully built mast would be too big to fit on anything without overhanging but we managed to find a way to transport it, which is great because now we don’t have to worry about waiting for someone to assemble it after we’re in the water. 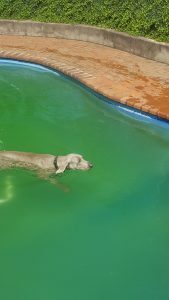 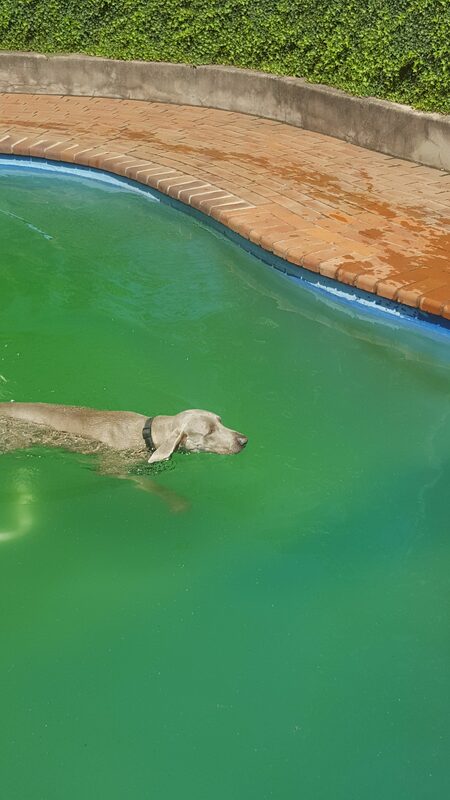 We also are have heard that we should be good to go in the water very soon(hopefully Sunday at the latest), will keep you updated on that.